One of my mentors was noted for a charge he would give aspiring young business leaders, when he encouraged us to – “Do what we love, love what we do, and deliver more than you promise.” Those few words have become a philosophy that I try to put into place daily and I have often used the same message when I meet with young business and community leaders. 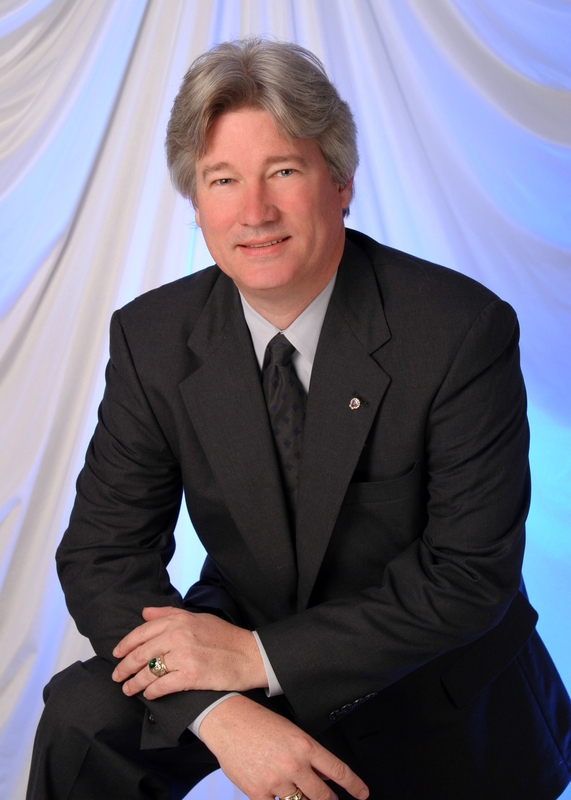 This year marks my 19th year in the association management field. Essentially, I have the unique opportunity to perform in a job that allows me to work with business and community leaders as we make our region stronger and our communities better than we found them. I have always enjoyed civic service, advocating on behalf of people and businesses, and speaking to groups about how they can bring about positive change for our community and nation. No, I take that back – I love it! Perhaps no day better illustrates that than Friday August 27th. It began like any other day as we convened a program of our Focus Friday and a very informative session on Charlotte Mecklenburg Utilities from their executive director Barry Gullett. Barry was joined by Jim Duke who led a Mayor’s Task Force on the water rate challenges we were experiencing earlier this year in Mecklenburg County. Duke did an outstanding job of demonstrating what local citizens can do when they organize together in a constructive manner bringing about changes in CMUD’s operations. The program adjourned and I went straight into a meeting of our Pubic Policy Committee where Hilary Broadway of Allen Tate Realty and I outlined the Chamber’s advocacy positions we would take to Washington, DC a few weeks later. Then it was off to a meeting of the Regional Roads Committee, an organization of 17 other regional Chambers of Commerce, as we heard presentations from CATS to Gene Conti, our N.C. Secretary of Transportation. I hurried back up to the lake for a check presentation from the Ingersoll Rand Foundation to the Ada Jenkins Center for $60,000. The community outreach center offers 19 programs and services including the free medical clinic, food pantry, school tutoring, and much more. Leaving there, I rushed off for a ribbon cutting and a grand opening of a new Huntersville business – the Comfort Suites – before heading back up to the Chamber for a meeting of the Lake Norman Kiwanis Aktion Club. 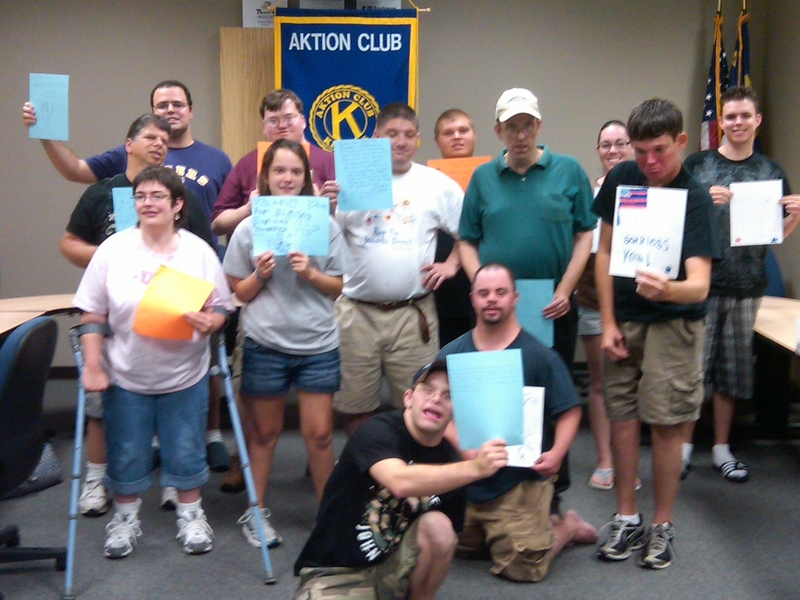 Aktion is a club for young people over the age of 18 with special needs. I am fortunate to be their club advisor and help facilitate their meetings as the young people get together once a month to socialize and conduct projects. This particular meeting we enjoyed pizza together provided by Brooklyn South, a great Chamber member, as we wrote letters to the men and women serving overseas in our military. Perhaps few days go by that each of us do not lament about the economy or how things are just not going our way. However, each month I have the opportunity to witness one of God’s miracles as a young person, who has every reason in the world to complain, reminds us life is so precious. There is no discussion of shortcomings or disability, just the bright smiles of these kids and their laughter when they get together. I listened as they read the words from their cards and showed us their own particular handiwork. Their crayons filled with love, compassion, and innocence. As I drove home that night, thinking of those kids as they poured their hearts out in words and colors on their greeting cards, I felt tears welling up in my eyes. I couldn’t help but believe that the hour I spent with them that evening was God’s gift back to me. It’s the reason I do what I do and just another great day at the lake!